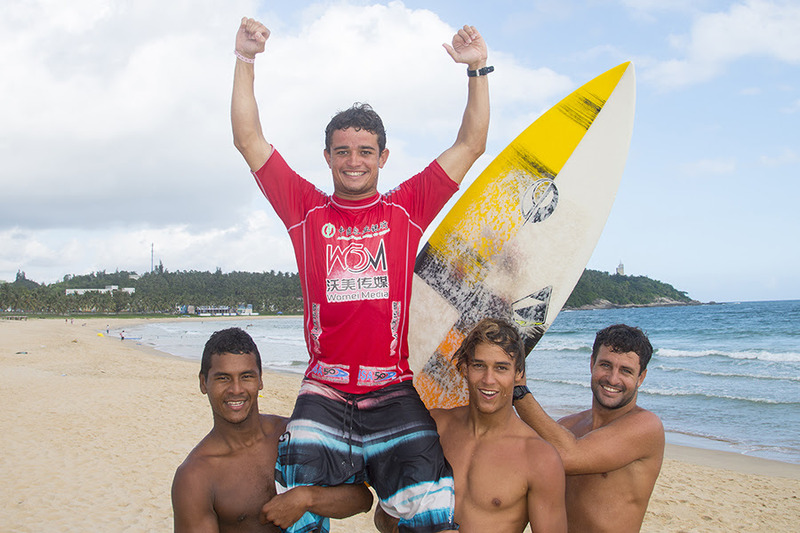 WANNING, Hainan Island/China (Friday, November 28, 2014) - Deivid Silva (BRA) has won the Hainan Classic, a men’s Association of Surfing Professionals (ASP) 4-Star Qualifying Series (QS) event over Miguel Tudela (PER) in clean and punchy 1 - 2 foot surf at Riyue Bay. 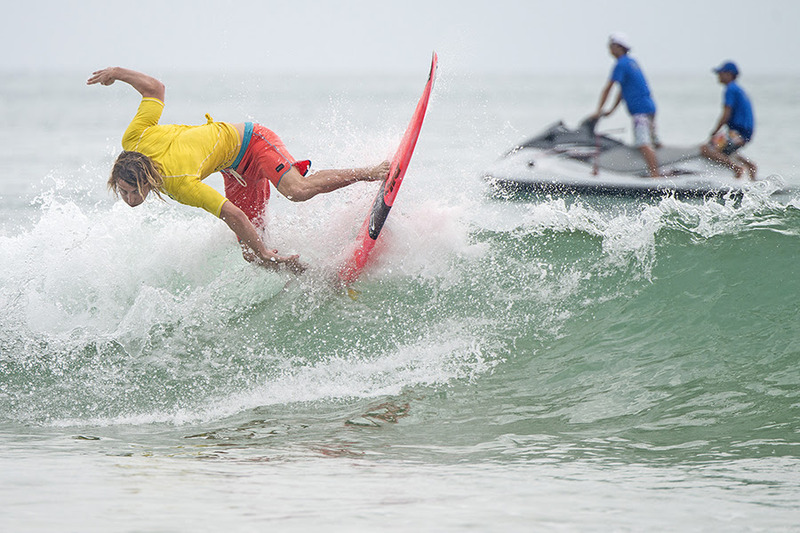 The third annual Hainan Wanning Riyue Bay International Surfing Festival combines both ASP and International Surfing Association (ISA) events offering the athletes the chance to compete for national pride and personal QS rankings points plus valuable prize money. Silva was in control of the Final from the first minute, scoring a 9.10 (out of a possible 10) for a fast and furious combination of backhand whips and carves. The fireworks didn’t stop in the 30 minute Final with both surfers blowing up with big aerials and explosive turns. This is Silva’s maiden ASP QS win and sees the Hainan Classic trophy remain in Brazil after Caio Ibelli won this event last year. Tudela was a standout for the duration of this year’s Hainan Wanning Riyue Bay International Surfing Festival, winning gold with Team Peru in the ISA China Cup, and winning through to the Final of the Hainan Classic with high flying airs and powerful snaps. Tudela is one of the most well rounded surfers in the ASP after his runner-up finish in small surf in China today, and competing at the Big Wave World Tour event at Pico Alto in Peru in 20 foot surf earlier this year. Dale Lovelock (AUS) posted excellent scores in every Round of this year’s Hainan Classic, but was eliminated by Tudela in the Semifinals and finished equal 3rd place. Lovelock eliminated fellow Sunshine Coast surfer Kai Hing with a solid performance in the Quarterfinals, but after breaking his finger at the start of the Semi he was out of rhythm and unable to get past a red hot Tudela. Japan was well represented on finals day with Reo Inaba (JPN) finishing equal 5th place after going down against Tudela in the Quarterfinals and Kaishu Tanaka (JPN) finished equal 3rd place after bowing out in the Semifinals. WANNING, Hainan Island/China (Thursday, November 26, 2014) - The Hainan Classic, a men’s Association of Surfing Professionals (ASP) 4-Star Qualifying Series (QS) event has been called off for the day due to near flat conditions. The event is likely to finish tomorrow with contest officials eyeing an increase in swell by event partners Surfline. 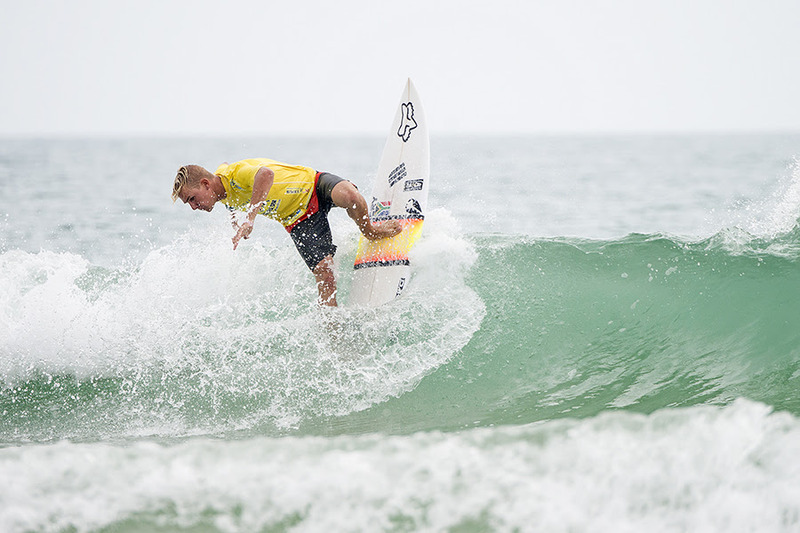 The third annual Hainan Wanning Riyue Bay International Surfing Festival combines both ASP and International Surfing Association (ISA) events offering the athletes the chance to compete for national pride and personal QS rankings points plus valuable prize money. WANNING, Hainan Island/China (Wednesday, November 26, 2014) - The Hainan Classic, a men’s Association of Surfing Professionals (ASP) 4-Star Qualifying Series (QS) event resumed in challenging 1 - 2 foot surf after moving down the beach because the primary event location was too small. 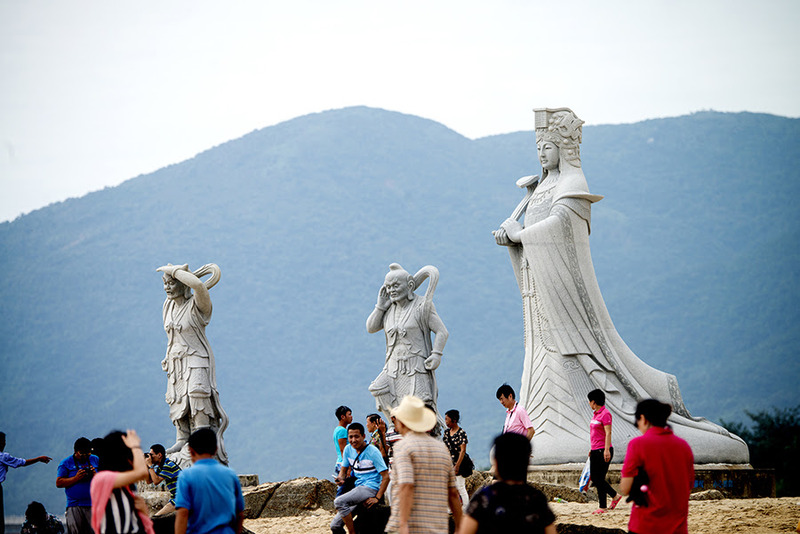 The third annual Hainan Wanning Riyue Bay International Surfing Festival combines both ASP and International Surfing Association (ISA) events offering the athletes the chance to compete for national pride and personal QS rankings points. Dale Lovelock (AUS) battled through two heats and was in solid form all day, posting excellent scores while his counterparts struggled to adapt to the conditions. Lovelock has advanced into the Quarterfinals and will be one to watch as the event transitions from four-man heats to man-on-man. Deivid Silva (BRA) looked right at home in the small surf at the Riyue Bay beach break today, finding speed and turn sections seemingly with ease. Silva has advanced into the Quarterfinals where he will match-up against fellow Brazilian Luan Wood when competition resumes. Miguel Tudela (PER) advanced in second position behind Lovelock in Round 3 in one of the most intense heats of the day. All four surfers held one good score, so the advancing positions were decided by their backup waves. Harrison Mann (AUS) relied on his explosive backhand surfing to advance at the Hainan Classic today. Mann’s Round 3 heat was close and intense as all four surfers fought hard for a two spots in the next Round. Mann sealed his spot in the last minute when he unloaded a barrage of vertical turns. He will now surf in Round 4 for a place in the Quarterfinals. Dylan Lightfoot (ZAF) wasn’t hampered by the small surf on offer, using both his backhand and forehand attack to secure a solid heat win. Lightfoot is now just one heat away from a Quarterfinal berth and will take on Harrison Mann (AUS), Kai Hing (AUS) and Miguel Tudela (PER) in the next heat when competition resumes. s Email not displaying correctly? WANNING, Hainan Island/China (Tuesday, November 25, 2014) - The Hainan Classic, a men’s Association of Surfing Professionals (ASP) 4-Star Qualifying Series (QS) event hit the water today in small 1 - 2 foot surf. 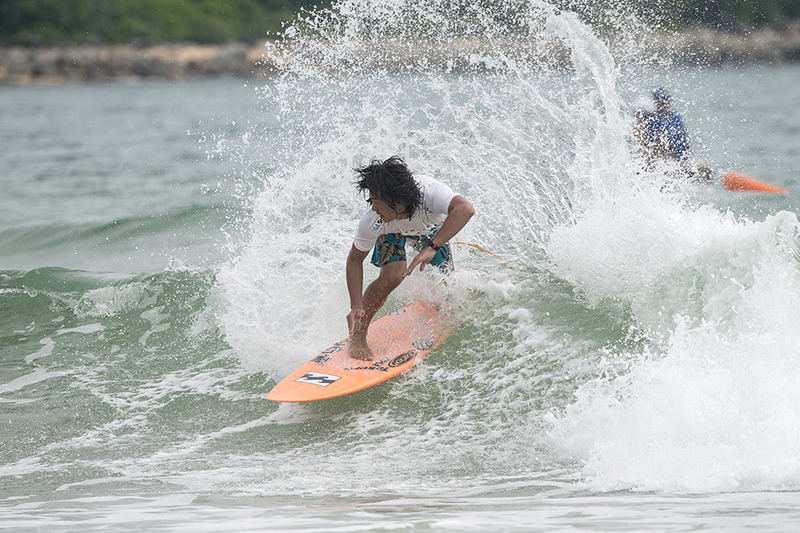 The third annual Hainan Wanning Riyue Bay International Surfing Festival combines both ASP and International Surfing Association (ISA) events offering the athletes the chance to compete for national pride and personal QS rankings points. 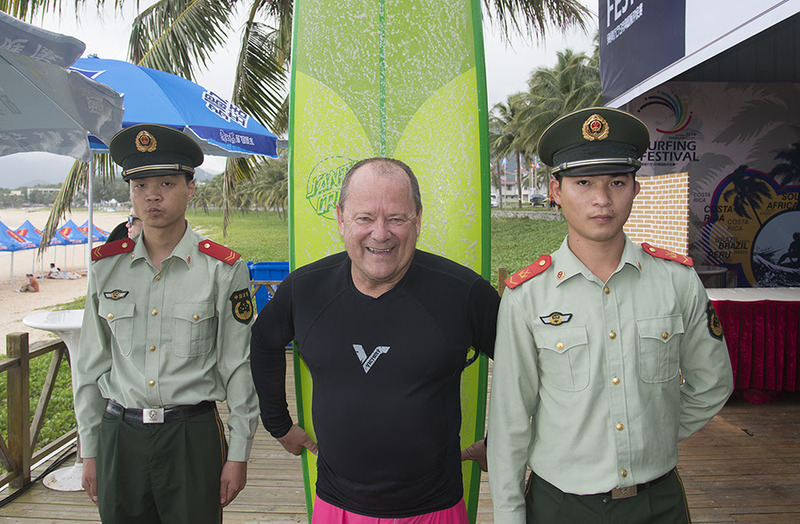 Peter Townend, the first ever ASP World Champion (1976) was on hand at this year’s Hainan Wanning Riyue Bay International Surfing Festival to give the Chinese surfers some coaching and is pleased with what he saw for the future of surfing in China. When asked about this year’s ASP World Titles, he added. Nick Squires (AUS) won the individual gold medal in yesterday’s ISA China Cup and his good form continued today in the Hainan Classic. Squires easily advanced through two Rounds with big scores and solid surfing and is hungry to once again be on the top of the podium at this event. Bruno Galini (BRA) and Medi Veminardi (REU) both powered through their Round of 64 heat at Riyue Bay today. Both surfers left their mark on the heat with Galini advancing in 1st position, while Veminardi advanced in 2nd with the highest single wave score of the heat — 7.83 (out of a possible 10) for a series of sharp and fast frontside turns. Michael February (ZAF) was another of the day’s standout surfers, tearing through the tough conditions to post a 7.33 and a solid heat win over Harrison Mann (AUS) who also advanced in 2nd position and Gilbert Lopez (CRI) who was eliminated. February will now match-up against Dale Lovelock (AUS), Kaisa Kawamura (JPN) and Miguel Tudela (PER) when competition resumes. After surfing in today’s small conditions Miguel Tudela (PER) has now competed in some of the biggest and smallest surf of 2014 — Tudela also competed in the Pico Alto Big Wave World Tour event in his home country of Peru. In yesterday’s ISA China Cup Tudela added another accolade after his team took out the Gold Medal No. 1 position. International Surfing Association added 4 new photos. International Surfing Association added 3 new photos. International Surfing Association added a new photo. International Surfing Association added 2 new photos. International Surfing Association added 7 new photos. International Surfing Association added 5 new photos. Video - Afghanistan is working on having their first National Championship, but they need your help! WRAA is the Wave Riders Association of Afghanistan. In May 2015 we want to host the 1. Afghan Surf Championship. Therefor we need your support. International Surfing Association added 4 new photos to the album: 2015 ISA World Surfing Games. 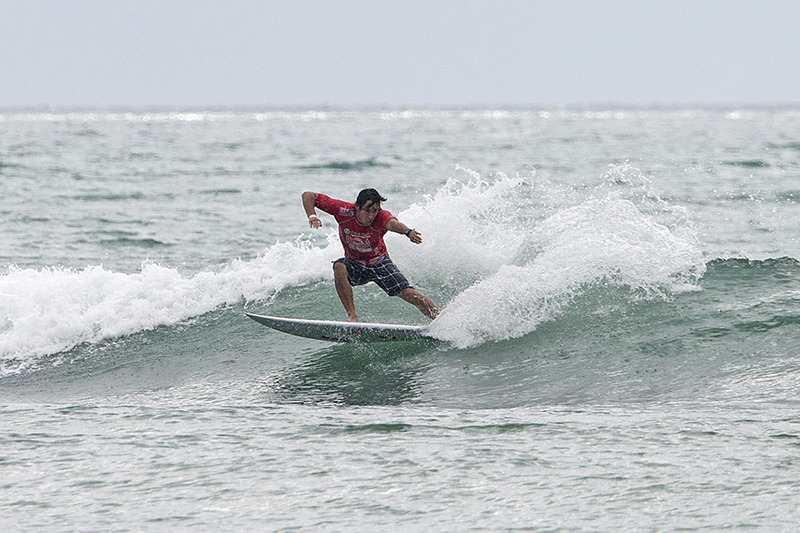 ISA RETURNS TO NICARAGUA FOR THE 2015 ISA WORLD SURFING GAMES - Read the full story here! Team Updates Tatiana Weston-Webb opens up about 'The Tour' Surfersvillage Global Surf News, 25 February, 2015 - Leading up to the opening event of the 2015 World Surf League (WSL), 18-year-old Tatiana Weston-Webb of Kauai shares her thoughts about the upcoming season. Photo - It's the weekend and it's time to surf. We hope you catch some great waves over the weekend. International Surfing Association added 8 photos. International Surfing Association added 4 photos. International Surfing Association added 11 photos.